February 15, 2019: At Henry Pratt Company in Aurora, Illinois, Gary Montez Martin opened fire and killed five people. The gunman was later shot and killed by responding police officers. 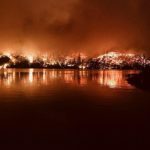 November 8, 2018: The Camp Fire in Butte County, California is the deadliest and most destructive wildfire in California history, and the most destructive wildfire in the United States in a century. 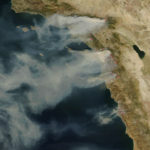 The same day, a destructive fire in Southern California spread rapidly through Los Angeles and Ventura counties. November 7, 2018: A gunman opened fire inside Borderline Bar and Grill, a country-western dance bar in Thousand Oaks, California, during a busy ‘College Country Night’ event. 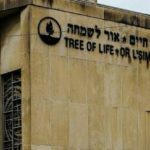 October 27, 2018: Considered the deadliest attach on the Jewish community to take place in the United States in history, a gunman opened fire while Shabbat morning services and a bris were being held. 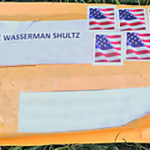 October 22, 2018: Over the course of a week, a total of 15 packages containing improvised explosive devices were sent to several prominent critics of President Trump. Fortunately, none of the packages exploded outside of a controlled setting. 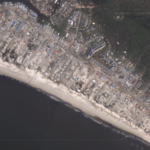 October 10, 2018: Hurricane Michael–with maximum sustained winds of 155 mph–made landfall as a Category 4, becoming the first to do so in the region. 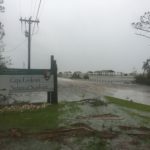 September 14, 2018: The slow-moving Category 1 hurricane “Florence” caused widespread damage and flooding, even inundating inland cities as major rivers all spilled over their banks. March 2-21, 2018: A string of bombings rocks Austin, Texas as a man delivers packaged bombs around the area. For nearly a month, eight package bombs were discovered, six of them detonating, until the suspect committed suicide before police could arrest him. 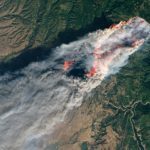 February 18, 2018: A combination of low humidity, wind, and extremely dry conditions led to a particularly active year for wildfires in California. A state of emergency was declared on August 4, 2018. 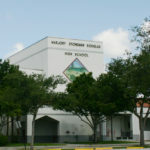 February 14, 2018: At Marjory Stoneman Douglas High School in the city of Parkland, Florida, 19 year-old Nikolas Cruz opened fire on both students and faculty, killing more than a dozen. 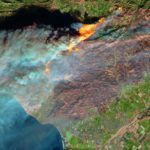 December 4, 2017: A quick-moving wildfire began north of Santa Paula, CA south of Thomas Aquinas College, and burns over 280,000+ acres, becoming the largest wildfire in California history. November 5, 2017: Devin Patrick Kelley of nearby New Braunfels, killed 26 and injured 20 others in a shooting at First Baptist Church in Sutherland Springs, Texas. 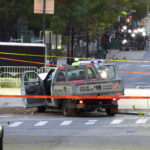 October 31, 2017: Sayfullo Habibullaevic Saipov drove down a crowded bicycle and pedestrian path near the World Trade Center in Manhatten, New York. He drove on the pathway for several blocks, striking numerous people. 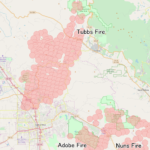 October 8, 2017: A fast-growing fire broke out near Tubbs Lane in Calistoga, CA and would continue to burn for 23 days, becoming the most destructive wildfire in California history. 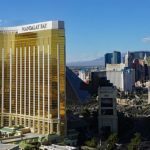 October 1, 2017: Stephen Paddock of Mesquite, Nevada, fired hundreds of rifle rounds from his suite on the 32nd floor of the nearby Mandalay Bay hotel on a crowd of 22,000 concertgoers at the Route 91 Harvest Music Festival, leaving 58 people dead and 546 injured. 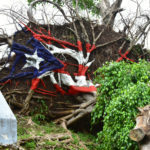 September 19, 2017: The category 4 hurricane “Maria” caused widespread devastation to Puerto Rico’s transportation, agriculture, communication and energy infrastructure. 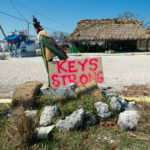 September 10, 2017: “Irma” made landfall as a category 4 hurricane at Cudjoe Key, Florida after devastating the U.S. Virgin Islands – St. John and St. Thomas – as a category 5 storm. 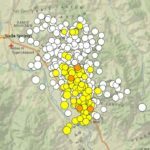 September 2, 2017: following a magnitude 5.3 earthquake east of Soda Springs, Idaho was a sustained and highly active sequence of aftershocks. 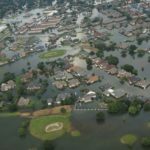 August 25, 2017: “Harvey” made landfall as a category 4 hurricane near Rockport, Texas causing widespread damage. Extreme rainfall produced historic flooding across Houston and surrounding areas. 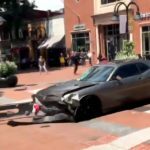 August 11-12, 2017: Prior to an Alt-Right rally, a man drove his car into a crowd of protesters, killing one person and injuring 19 more. 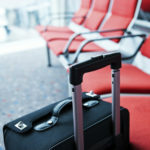 January 6, 2017: Near a baggage claim in Terminal 2 at the Fort Lauderdale-Hollywood airport, Iraq war veteran, Esteban Santiago, opened fire with a semi-automatic pistol in a crowd of travelers. 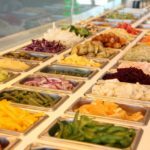 November 28, 2016: Somali refugee Abdul Razak Ali Artan, drove a vehicle into a courtyard deliberately striking pedestrians, then began attacking students with a knife after crashing the vehicle. 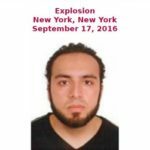 September 17, 2016: Ahmad Rahami conducted two bombings and attempted additional bombings in various locations in New York City and New Jersey on September 17, 2016, and September 18, 2016. September 17, 2016: 10 people were injured in a stabbing attack at the Crossroads Mall in St. Cloud Minnesota. The attacker, Dahir Adan, was fatally shot by an armed off-duty police officer on the scene. July 7, 2016: Micah Xavier Johnson began shooting at the end of a protest in Dallas, Texas. Five law enforcement officers were killed; nine were wounded, including seven law enforcement officers. The shooter was killed by a bomb-carrying robot. June 12, 2016: Omar Mir Seddique Mateen began shooting patrons inside Pulse nightclub in Orlando, Florida. Forty-nine people were killed; 53 were wounded. June-December 2016: Drought conditions contributed to an active wildfire season with over 5.0 million acres burned nationally. 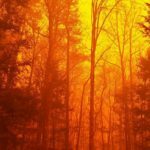 A devastating firestorm impacted Gatlinburg, Tennessee when hurricane-force wind gusts in extremely dry conditions created volatile wildfire behavior. December 2, 2015: Husband and wife, Syed Rizwan Farook and Tashfeen Malik began shooting at coworkers of one of the shooters at an event in the Inland Regional Center in San Bernardino, California. Fourteen people were killed; twenty-two were wounded. November 27, 2015: Robert Lewis Dear, Jr. opened fire at a Planned Parenthood Clinic in Colorado Springs, Colorado, killing 3 and injuring 9. October 1, 2015: Christopher Sean Harper-Mercer began shooting classmates in a classroom on the campus of Umpqua Community College in Roseburg, Oregon. Nine people were killed; seven were wounded. July 23, 2015: An assailant opened fire at the Grand 16 theater in Lafayette, Louisiana. With a history of mental problems, he legally purchased a gun from an Alabama pawn shop. July 16, 2015: Mohammad Youssuf Abdulazeez began shooting at the Armed Forces Career Center in Chattanooga, Tennessee, wounding a U.S. Marine. 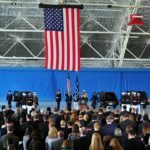 The shooter then drove to the Navy and Marine Reserve Center, where he killed 4 U.S. Marines and wounded a law enforcement officer and a U.S. navy sailor who died a few days later. June 17, 2015: Dylann Storm Roof began shooting at prayer service at the Emanuel African Methodist Episcopal Church in Charleston, South Carolina. Nine people were killed; no one was wounded. June-November 2015: Wildfires burned over 10.1 million acres across the U.S. in 2015, surpassing 2006 for the highest annual total of U.S. acreage burned since record-keeping began in 1960. December 18, 2015: In the 113th Congress, five significant cybersecurity bills were signed by President Barack Obama. 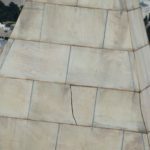 August 24, 2014: A magnitude 6.0 earthquake hit in South Napa, California. It was the largest earthquake to hit the San Francisco Bay Area in 25 years. July 8, 2014: Two Las Vegas Metropolitan Police Department officers were ambushed and killed by two assailants. The assailants went on to instigate an active shooter situation, killing a Good Samaritan civilian who attempted to intervene. May 23, 2014: Elliot Rodger began shooting in the first of 17 locations in Isla Vista, California. 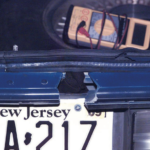 After stabbing 3 inside his apartment earlier that day, the shooter began driving through town, shooting from his car. 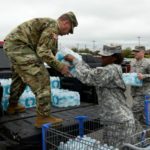 April 2014: Flint, MI loses access to safe, reliable drinking water when the city switched its water source from Lake Huron to Flint River, which has been found contaminated with high concentrations of lead. 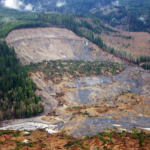 March 22, 2014: Four miles east of Oso, Washington, a massive landslide claimed 43 lives, and destroyed 49 homes and other structures. 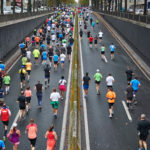 September 16, 2013: Aaron Alexis began shooting in Building 197 at the Washington Navy Yard in Washington, D.C.
April 15, 2013: At the annual Boston Marathon, 282 people were injured and four were killed, including an MIT police officer, when two pressure-cooker bombs exploded near the crowded finish line. February 3-12, 2013: Former Los Angeles Police Department officer Christopher Dorner began a manifesto-fueled rampage, targeting civilians and law enforcement alike. 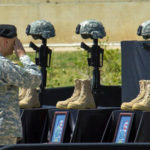 The incident left four dead and several wounded across multiple counties and involved law enforcement from multiple jurisdictions. January 29, 2013: President Barack Obama signed into law the Sandy Recovery Improvement Act (SRIA) of 2013 and the accompanying Disaster Relief Appropriations Act, 2013. 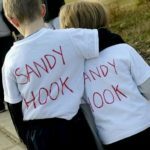 December 14, 2012: In the space of several minutes, Adam Lanza killed 20 elementary school children and six adults at the Sandy Hook Elementary School in Newtown, Connecticut. 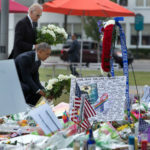 The tragic event heightened growing concerns about school security and gun control laws. October 22, 2013: “Superstorm Sandy” formed off a tropical wave in the Caribbean Sea. It would end up killing 233 people over the span of eight countries, with 159 deaths in the U.S. alone. 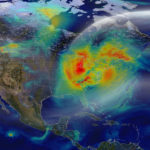 Total damages resulting from the storm exceeded $70 billion. September 11, 2012: the American diplomatic compound in Benghazi, Libya was attacked by members of Ansar al-Sharia. 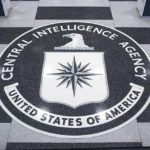 The group launched a mortar attack at a CIA annex the next morning, approximately one mile away. August 5, 2012: Wade Michael Page began shooting outside the Sikh Temple of Wisconsin in Oak Creek, Wisconsin. Six people were killed; four were wounded, including one police officer. 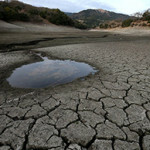 January-December 2012: The 2012 drought is the most extensive drought to affect the U.S. since the 1930s. Moderate to extreme drought conditions affected more than half the country for a majority of 2012. August 23, 2011: A magnitude 5.8 earthquake struck near Mineral, Virginia. 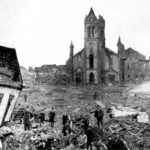 It was the largest earthquake in the eastern U.S. since 1944. May 22, 2011: An EF-5 tornado devastated the city of Joplin, MO, leaving an estimated 157 people dead. 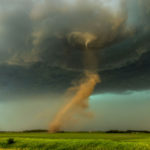 It is the deadliest single tornado since modern record-keeping began in 1950 and is ranked as the 7th deadliest in U.S. history. 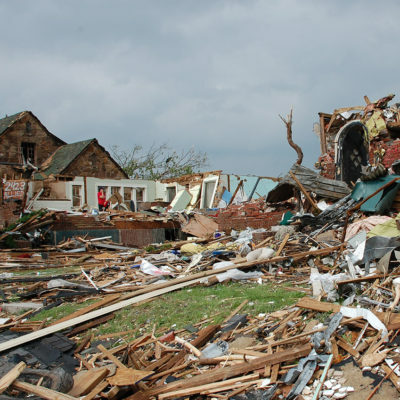 April 25-28, 2011: An outbreak of 362 tornadoes occurred over just four days, surpassing the previous record for all of April by nearly 100, but also accounting for almost half of the confirmed tornadoes during the month. (On This Day: 2011 Tornado Super Outbreak). January 8, 2011: Jared Lee Loughner began shooting during a congressional town hall meeting sponsored by U.S. Representative Gabrielle Giffords outside a Safeway store in Tucson, Arizona. Six people were killed; 13 were wounded, including Rep. Giffords. September 9, 2010: A PG&E pipeline ruptured and exploded in the Crestmoor residential neighborhood of San Bruno, CA. 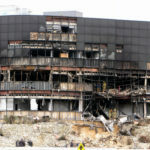 June 2010: Discovery of the Stuxnet worm exposes the vulnerability of critical infrastructure and computer systems to attack. Countries known to have been affected by the Stuxnet worm include Iran, Indonesia, India, Pakistan, Germany, China and the United States. April 20, 2010: The Deepwater Horizon Macondo oil well drilling platform explodes and starts the largest marine oil spill in U.S. history. 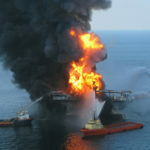 Millions of barrels of oil is released into the Gulf of Mexico over a span of 87 days. 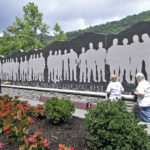 April 5, 2010: A coal mine located in Montcoal, West Virginia suffers a massive coal dust explosion started as a methane ignition. February 18, 2010: Andrew Joseph Stack deliberately flew his small single engine aircraft into the Echelon I office building which housed an IRS office in Austin, Texas. 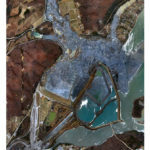 December 22, 2008: an ash pond dike broke, which released 5.4 million cubic yards of coal ash. The spill covered over 300 acres of Watts Bar Reservoir. August 3, 2007: Public Law 110-53: Implementing Recommendations of the 9/11 Commission Act of 2007 is signed into law. 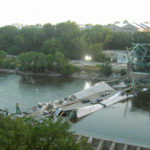 August 1, 2007: The Mississippi River Bridge in Minneapolis, MN collapses into the river with no warning. Approximately 120 vehicles went down with the 40-year old bridge, including a school bus full of children. June-August 2007: Drought conditions and high winds over much of the western U.S. resulted in numerous wildfires. 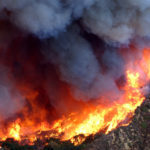 National acreage burned exceeded 8.9 million acres, and over 3,000 homes and structures were destroyed in southern California alone. April 16, 2007: “Seung Hui Cho began shooting in a dormitory at Virginia Polytechnic Institute and State University in Blacksburg, Virginia. Two-and-a-half hours later, he chained the doors shut in a classroom building and began shooting at the students and faculty inside. October 13, 2006: Public Law 109-347: Security and Accountability for Every Port Act of 2006 is signed. 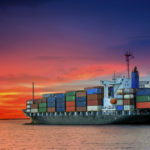 Many of the SAFE PORT Act’s provisions relate to programs designed to secure the United States’ sea ports and shipping lanes. 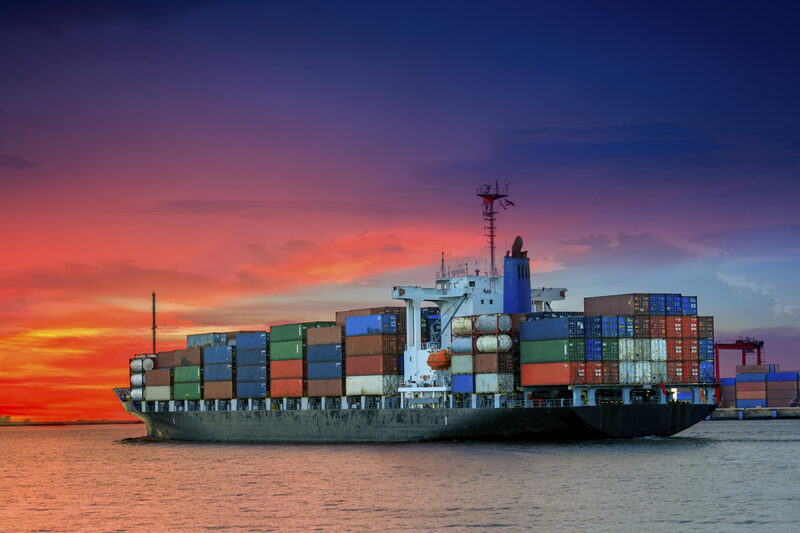 July 11, 2006: Public Law 109-241: Coast Guard and Maritime Transportation Act of 2006 addresses U.S. Coast Guard issues, shipping and navigation, hurricane response, and a number of other issues. 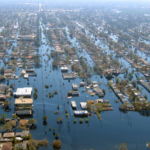 August 25-31, 2005: Hurricane Katrina created a path of destruction across southern Florida, and caused devastation into parts of southeast Louisiana, Mississippi, and Alabama. 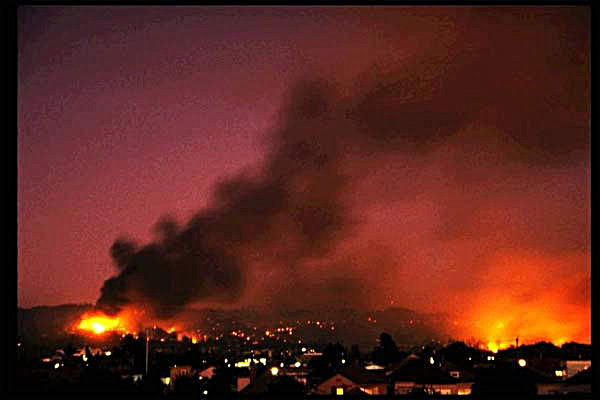 October 2003: Dry weather, high winds, and resulting wildfires in Southern California burned over 3,700 homes. Over 750,000 acres burned in 14 major fires. 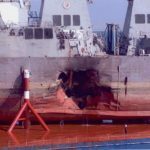 November 25, 2002: Public Law 107-295: Maritime Transportation Security Act of 2002 is enacted to raise port security standards and protect the nation’s ports and waterways from a terrorist attack. 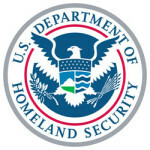 November 25, 2002: Public Law 107-296: The Homeland Security Act of 2002 established the Department of Homeland Security and set forth the primary mission of the Department. October 2002: John Allen Muhammad and Lee Boyd Malvo began a series of sniper shootings that would paralyze the National Capitol Region for almost three weeks until October 22, 2002. Thirteen people were shot, ten of whom died from their wounds. 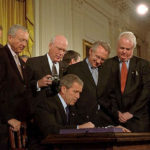 October 26, 2001: The USA PATRIOT Act is signed into law. 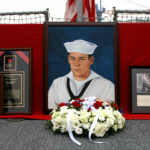 September 11, 2001: Two passenger airliners crash into the World Trade Center Towers in New York, one would hit the Pentagon in Washington, D.C., and another crashed in a Pennsylvania countryside, but was headed for Washington, D.C.
January 1, 2000: Widespread fear and panic centered on the turn of the century and the idea that a technological bug would leave nations scrambling to counteract damage done to technological infrastructure. April 20, 1999: Two subjects walked into Columbine High School and opened fire on both students and staff, as well as detonated explosive devices, some of which were planted in and around the school prior to entering. 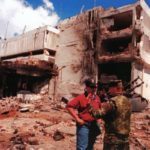 August 7, 1998: Bombs detonated in front of two American embassies; one in Nairobi, Kenya and the other in Dar es Salaam, Tanzania. 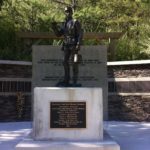 July 27, 1996: During the Summer Olympic games in Atlanta, GA, Eric Rudolph planted a backpack containing a bomb in crowded Centennial Olympic Park. 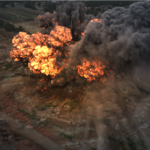 While many spectators were evacuated, the bomb detonated before all could leave. April 3, 1996: Theodore Kaczynski is arrested. 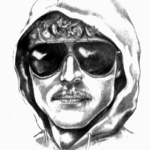 Also known as the Unabomber, Kaczynski sent primitive, untraceable, homemade explosives to a number of random targets that left the FBI puzzled for nearly two decades. 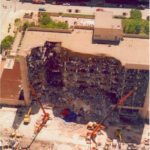 April 19, 1995: A bomb ripped through the Alfred P. Murrah Federal building in downtown Oklahoma City, set by Timothy McVeigh. July 2, 1993: Persistent heavy rains and thunderstorms caused severe, widespread flooding in the central U.S. This is the most costly non-tropical, inland flood event to affect the United States on record. 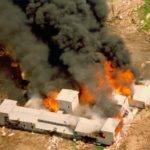 April 19, 1993: The 51-day Waco Seige standoff ended when the the Branch Davidian compound was engulfed by fires set by the Davidians, after the FBI used tear gas in an attempt to force the occupants to leave. 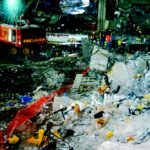 February 26, 1993: A bomb exploded in a rented moving truck that was parked in the garage beneath the World Trade Center that resulted in a 100-foot crater that was several stories deep and several stories higher. 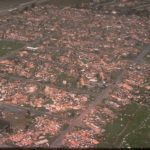 August 26, 1992: The Category 5 hurricane caused severe damage to Louisiana, the Bahamas, and the southern part of Florida, with the majority of damage caused by extremely high winds. 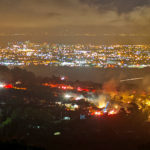 October 19-22, 1991: The largest dollar fire loss in United States history occurred in the East Bay Hills, within the California cities of Oakland and Berkeley, in October 1991. Twenty-five lives were lost and more than 3,000 structures were destroyed. December 20, 1990-January 3, 1991: Fourteen days of subfreezing temperatures crippled California, particularly within the Central Valley where citrus and other crops suffered damage, and thousands of workers were left jobless. 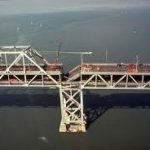 October 17, 1989: A magnitude 6.9 earthquake occurred northeast of Santa Cruz, CA, approximately 60 miles from San Francisco. It was the largest earthquake to occur on the San Andreas fault since the great San Francisco earthquake in April 1906. March 24, 1989: Oil tanker Exxon Valdez struck Bligh Reef in Prince William Sound, Alaska, spilling more than 11 million gallons of crude oil. 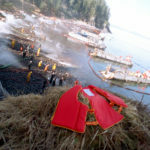 The spill was the largest in U.S. history and caused marine life, communities, and industries to suffer. December 21, 1988: Pan Am Flight 103 departed from London’s Heathrow Airport, bound for New York City. 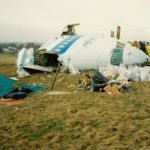 However, just 40 minutes into the flight, the plane exploded 31,000 feet up in the skies above Lockerbie, Scotland. June-August 1988: A drought across a large portion of the U.S. resulted in very severe losses to agriculture and related industries. Combined direct and indirect deaths due to heat stress were estimated at 5,000. June 14, 1985: TWA Flight 847 from Cairo to San Diego with stops in Athens and Rome, was hijacked and held hostage for 17 days, while being subjected to torture and death threats. 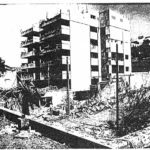 September 20, 1984: A suicide bomber detonates a van full of approximately 3,000 pounds of explosives outside of the US Embassy Annex in Beirut, Lebanon. This was the second attack in less than two years on the US Embassy in Beirut. 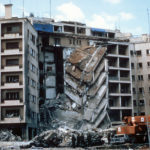 April 18, 1983: A suicide bomber crashes a truck into the front of the US Embassy in Beirut, Lebanon before detonating approximately 2,000 pounds of explosives. June-September 1980: Beginning in June and stretching until mid-September, the 1980 US Heat Wave was a period of intense heat and drought that plagued the central and eastern United States and caused billions in damage. 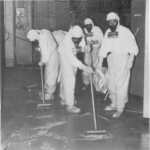 March 28, 1979: The Three Mile Island Unit 2 (TMI-2) reactor, near Middletown, Pa., partially melted down and was the most serious accident in U.S. commercial nuclear power plant operating history. March 31, 1979: President Carter’s 1979 Executive Order 12127 merged many of separate disaster-related responsibilities into a new Federal Emergency Management Agency (FEMA). May 22, 1974: President Richard Nixon signed the Disaster Relief Act of 1974, amending a 1970 version of the legislation. The act expanded the assistance the federal government could provide to individuals, states, and local communities suffering from disasters. December 30, 1970: A blast tore through mine shafts 15 and 16 Finely Mine. Just a month earlier, the Bureau of Mine had declared the mine an imminent danger. September 1970: Four aircraft bound for New York City and one for London, were hijacked by members of the Popular Front for the Liberation of Palestine. 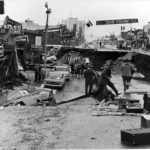 March 27, 1964: A magnitude 9.2 earthquake struck in the Prince William Sound region of Alaska. It lasted for approximately 4.5 minutes, and is the most powerful earthquake recorded in U.S. history. 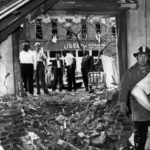 September 15, 1963: A dynamite bomb exploded in the back stairwell of the downtown Sixteenth Street Baptist Church in Birmingham, Alabama. The church was well-known as a key civil rights meeting place, so the incident was easily classified as an act of racial hatred. 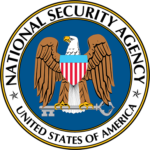 November 4, 1952: The NSA was established by order of President Harry Truman. 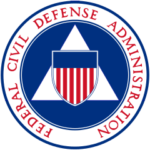 January 12, 1951: The Federal Civil Defense Act of 1950 is signed into law. 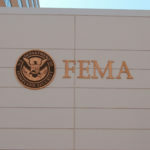 Prior to this act, there was no comprehensive legislation covering disaster relief. This act established a basic framework for civil defense, with the majority of responsibility vested in the States. 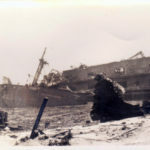 April 16, 1947: Docked in Texas City, TX, the S.S. Grandcamp, loaded with a cargo 2,300 tons of ammonium nitrate fertilizer, suddenly and mysteriously caught fire and then exploded. 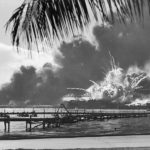 This incident was considered the largest industrial disaster of its time in the U.S.
December 7, 1941: Japan launches an attack on Pearl Harbor which goes down as one of the worst attacks on American soil, and catapults the nation into a world war that lasted four years. 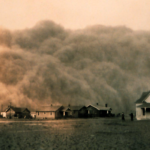 1930s: Between the years 1930-1940, the Great Plains suffered a severe drought that only further destroyed the already over-farmed and over-grazed land. 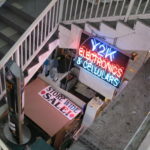 It would last for nearly a decade, but effects could be felt for years after. September 17, 1928: A category 4 hurricane tears through Lake Okeechobee area of Florida, piling the water up at the south end of the lake and topping the levee, spreading water several feet deep onto the land below. September 16, 1920: A man driving a cart pulled by horse, parked in front of the U.S. Assay Office across from the J. P. Morgan building in the heart of Wall Street. 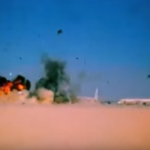 Minutes later, a bomb exploded, devastating the area. 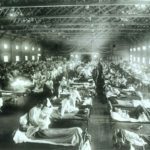 1918-1919: Known as the “Spanish Flu” or “La Grippe”, the Influenza Epidemic of 1918-1919 struck hard and fast, and in just one year dropped the American life expectancy by 12 years. 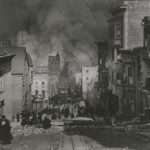 April 18, 1906: A magnitude of 7.9 struck San Francisco, CA. 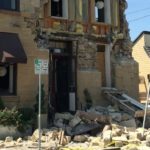 Violent shocks lasted approximately 40-60 seconds and was felt from southern Oregon to the south of Los Angeles and inland as far as Central Nevada. 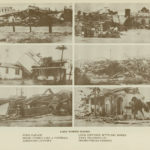 September 8, 1900: A category 4 hurricane strikes Galveston, TX with winds exceeding 135 miles per hour. 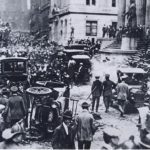 The storm devastated the port city and to this day remains the deadliest natural disaster in United States history. 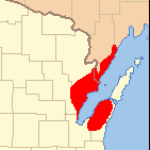 October 8, 1871: A devastating forest fire sweeps through northeast Wisconsin and is considered to be the deadliest fire in American history. 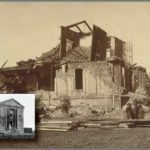 October 12, 1868: A magnitude of 6.8 struck the region of San Francisco Bay. It lasted for more than 40 seconds and is considered one of the most destructive earthquakes in California’s history. January 9, 1857: A magnitude 7.9 earthquake struck on the San Andreas Fault from near Parkfield to approximately 300 km away near Wrightwood. 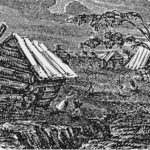 December 15, 1811: The 1811-1812 New Madrid Sequence consisted of three large earthquakes that spanned from December 15, 1811 to February 7, 1812, followed by hundreds of aftershocks felt throughout the next year. This timeline includes a variety of events and milestones related to homeland security and emergency management. New events will be considered and added as appropriate.